In 1868, the Green Hill Evangelical Association began as a Sunday-school and prayer meeting in the Mount Rose Avenue home of Michael Shellenberger. 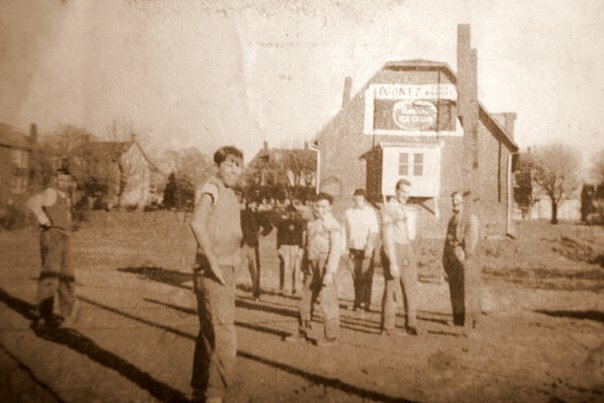 As the Association grew, the meetings moved to the carpenter shop on the property. In 1870, the organization built its first place of worship, a simple wooden building on a tract of land, called Green Hill, which had been deeded from the Shellenberger family. Included in the tract of land was property adjacent to the Green Hill cemetery on Ogontz Street, known as Bolls Avenue at the time. 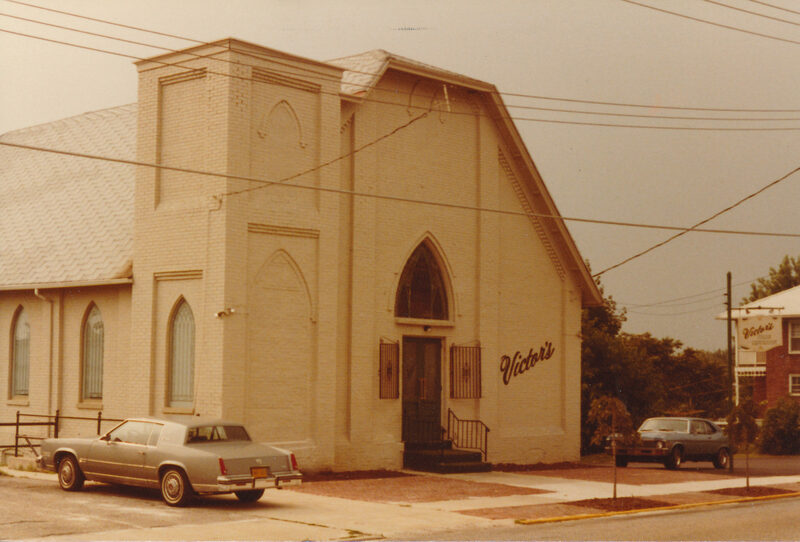 In 1905, the Association built a brick church on this property, the current site of Victor’s Restaurant. 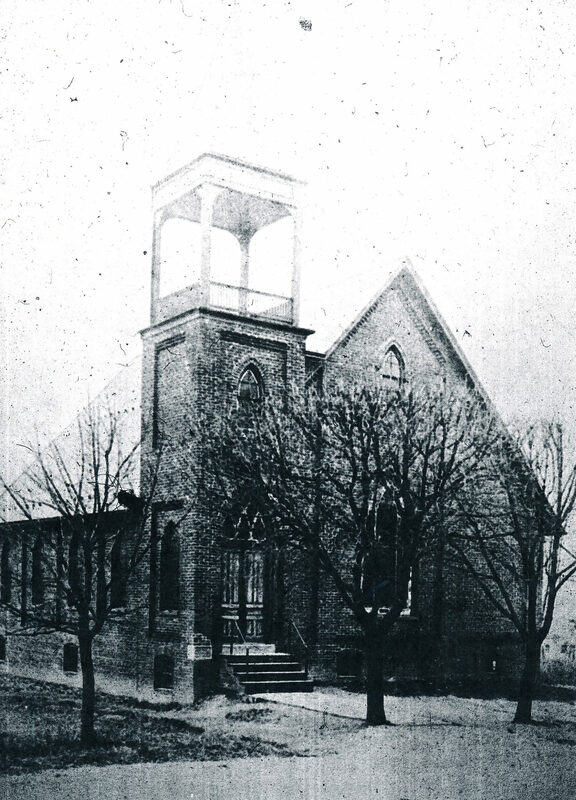 In 1925, the brick church was vacated when the congregation, then known as Bethany United Methodist, moved to a property on the corner of Mount Rose and Bolls/Ogontz, where it stands today. While the cornerstone on the Victor’s building reads 1923, it is believed that date relates to the bell tower, which was erected but never operational. According to city directories, over the next sixty years the building housed various businesses including Shellenberger’s grocery store, (late 1920s – 1940s), Wilt and Miller grocery (1950s), and Eugene Weller, barber. By the late 1950s, the grocers had been replaced by Mount Rose Bar and Grill, which operated from the 1970s through 1983. During this time Phyllis Kohler’s Beauty Salon replaced the Weller barbershop. 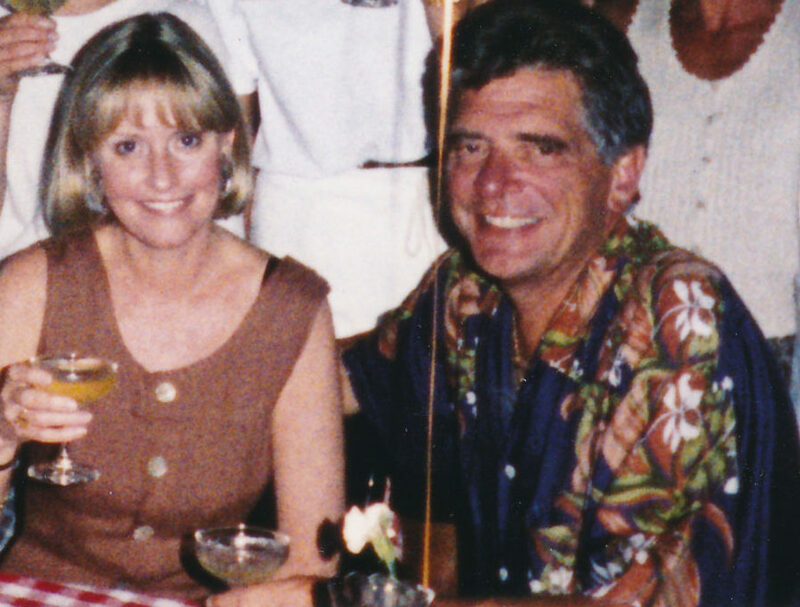 In May of 1984, Harold and Eunice Fitzkee purchased the building and created Victor’s Italian Restaurant. Local legend has it that the Fitzkees named the restaurant after the first chef they hired, who was from South Philadelphia. The chef never showed up for the job, but they kept the name anyway. A fire severely damaged the interior of Victor’s in April 2001. Through concerted efforts of the owners, employees, and loyal patrons, remodeling was swift and Victor’s reopened for business on July 9, 2001. In late January of 2007, the restaurant was sold to a partnership of three couples. Over time, four of the partners moved on to pursue other interests, leaving Mark and Marie Sindicich to enthusiastically take over as sole proprietors in 2017.